Okay, I have a confession to make. I felt a little bad after sharing Jubilee’s rant video about IHOP changing its name to IHOB and felt like we owed it to IHOP to give their burgers a try. Jubilee’s rant video happens to be the most popular video I’ve ever posted on FB…which makes me wonder why I bother trying to make cool videos when a simple morning rant, filmed on my phone (vertically) is obviously what people want to see…But I digress. In case you missed it, you can watch the video below. My kids are HUGE fans of IHOP. My parents sometimes take them there after church, we celebrated Tilly and Jared’s engagement there…and we celebrated last Father’s Day there…so yeah, we love it. But Jubilee? She’s a lot like me. She doesn’t like change. We had assumed (like many of you) that the “B” would stand for breakfast…but no, it does not. It stands for BURGERS. And Jubilee was not happy about that. Well, last weekend the stars aligned…Jubilee needed driving practice and I needed to celebrate Father’s Day with my father, and Chuck was home with the other kids. 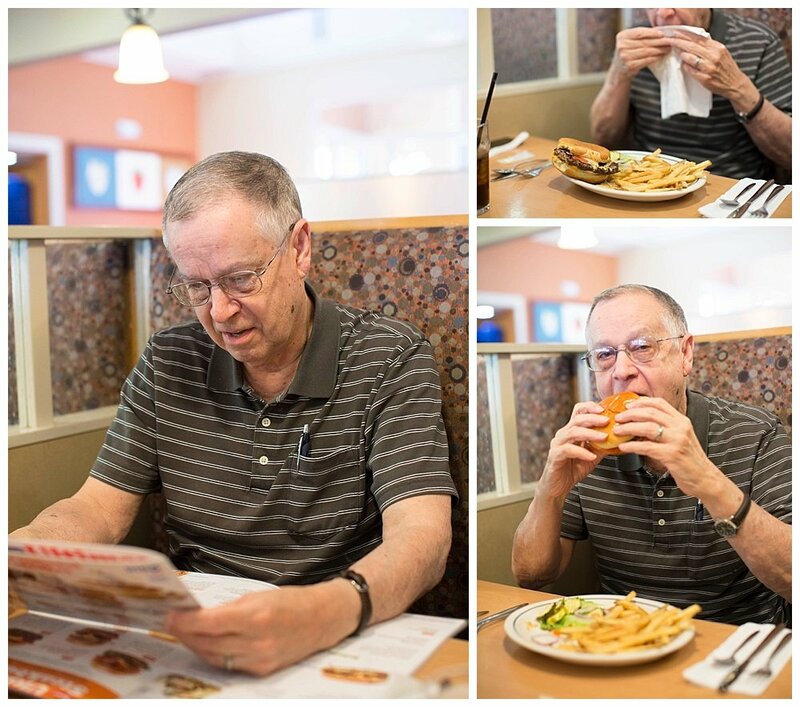 So, off to IHOB we went to find out for ourselves what IHOP hamburgers really taste like. 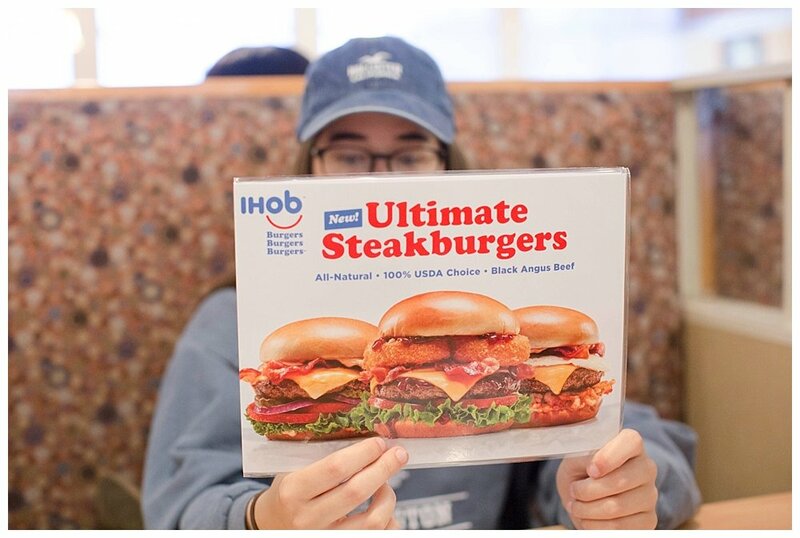 Great job on the menu images…who wouldn’t want to try an Ultimate Steak Burger after looking at those pictures? I ordered the Cowboy BBQ which according to the menu is, “Two crispy onion rings, our custom-cured hickory-smoked bacon, American cheese, lettuce, tomato, and tangy BBQ sauce.” I meant to ask them to leave off the cheese, because really, who actually likes Amercian cheese? But I forgot. Oh well. And my parents both ordered The Classic (which is exactly what it sounds like). 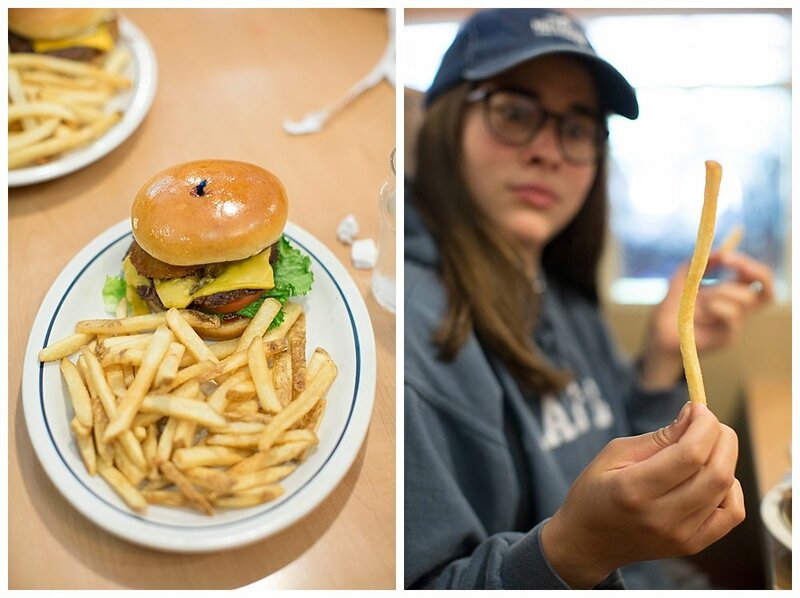 First things first…the fries? I give these a 10 out of 10. They were hot, salty, and flavorful, exactly like french fries should be. I was shocked by how good these were! I expected mediocre restaurant fries but was blown away. The burgers? They were good! 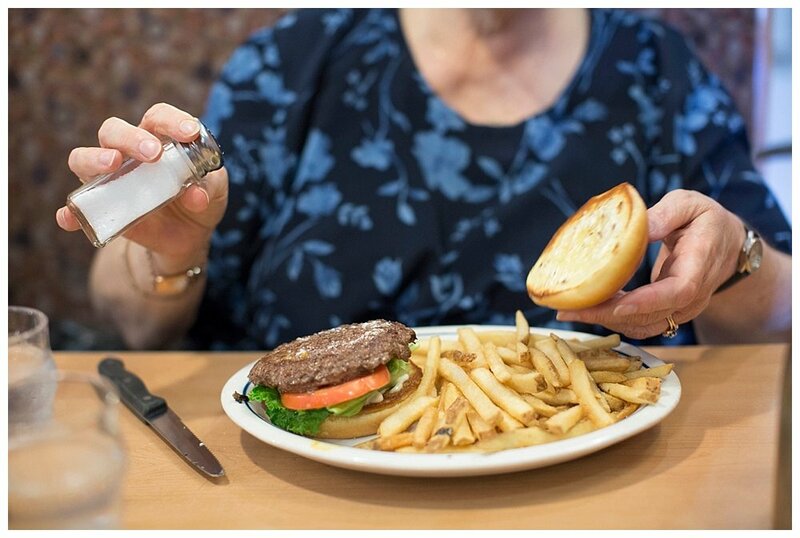 IHOP is now hand pressing the patties which are made out of Black Angus Beef. They were juicy, well-cooked, and delicious. I loved the addition of the onion rings and enjoyed the barbecue sauce. We all liked the buns which were more like brioche. My parents and Jubilee all enjoyed their burgers as well. So the consensus? I really love IHOP’s crepes but wouldn’t hesitate to get this burger again if I were in the mood for that instead of breakfast. IHOP, I would like to sincerely apologize on Jubilee’s behalf. 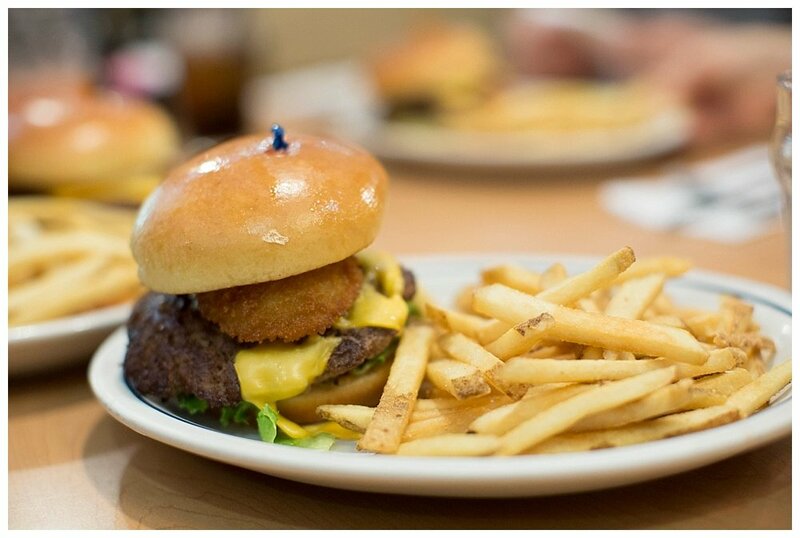 Now that we have tried your burgers (and adjusted to the new name) we are fans.